Jack Zibluk is a professor and head of the Communications Department at the University of Tennessee-Chattanooga. Jack was an ieiMedia Research Fellow in Istanbul, Turkey, in 2015, when he was a professor of mass media at Southeast Missouri State University. His professional journalism work has appeared in the Chronicle of Higher Education, News Photographer magazine, the Arkansas Democrat-Gazette, The Commercial Appeal of Memphis and Rolling Stone. While at Arkansas State University, he was the primary teacher in the state’s only photojournalism degree program. 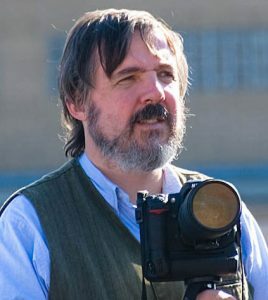 His professional journalism work has appeared in the Chronicle of Higher Education, News Photographer magazine, The Arkansas Democrat-Gazette, the Memphis Commercial Appeal, and Rolling Stone. He is a former National Geographic magazine faculty fellow, and a former vice president of the National Press Photographers Association. He won the NPPA’s Garland educator of the year award in 2005, and the Arkansas Scholastic Press Association’s Lemke educator award in 2009. In 2011, he led a group of Arkansas State University students to India, where he produced a multi media blog at: http://www.asuindia.blogspot.com. A native of Derby, Connecticut, he worked for 10 years as a newspaper writer, photographer and editor, in southern New England. He earned his bachelors and masters in political science and urban studies at Southern Connecticut State University, and his Ph.D. in mass communications from Bowling Green State University in Ohio. He lives in Jonesboro Arkansas, with his wife, Sara E. McNeil, director of communications at Arkansas state, and their daughter, Kate, 15, who is also a budding journalist. Zibluk participated as a faculty fellow in Istanbul in 2015.